It's called The Most Wonderful Time of the Year and, on average, each child in the UK receives 16 presents every year! But what else do you need to know about interesting Christmas facts and traditions? 1 - Christmas wasn’t always on the 25th December. Although Christmas celebrates the birth of Jesus Christ, there is no mention of the 25th December in the Bible. 2 - Coca-Cola came up with Santa Claus' red suit. Actually, Santa has worn a variety of colourful suits over the years, including red, blue, white and green, but legend has it that the popular image of his red coat came from a 1930s advertisement by Coca-Cola. 3 - Rudolph the Rednose Reindeer was almost named Reginald. Copywriter Robert L May first invented the idea of the famous reindeer in 1939 as a marketing gimmick for Montgomery Ward’s colouring book. 5 - The practice of hanging stockings has an interesting origin. It came from the story of a poor man who couldn’t afford for his three daughters to get married. St Nicholas overheard the story and dropped a bag of gold down their chimney one night so that the eldest could get married, but the bag fell into a stocking that was drying over the fire. 6 - Ham, and not turkey, is the most popularly consumed festive meat. 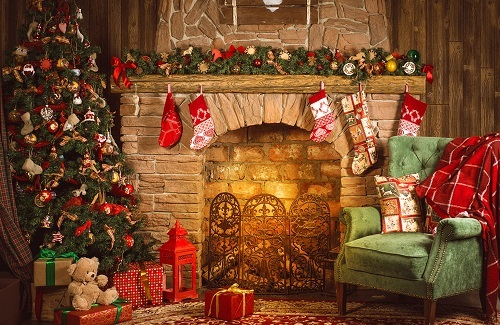 7 - The first artificial Christmas Tree wasn’t actually a tree at all. It was created out of goose feathers that were dyed green. Artificial trees started being developed and mass-produced in Germany in the 19th century, due to major (and continuous) deforestation. 8 - The tradition of putting tangerines in stockings comes from 12th century French nuns. They followed the practice of leaving socks full of fruit, nuts and tangerines at the houses of the poor. 9 - Scientists once did some crazy Santa calculations. They established that Santa would have to visit 822 homes per second and would need to reach a top speed of 650 miles per second in order to deliver all the world’s presents on Christmas Eve. 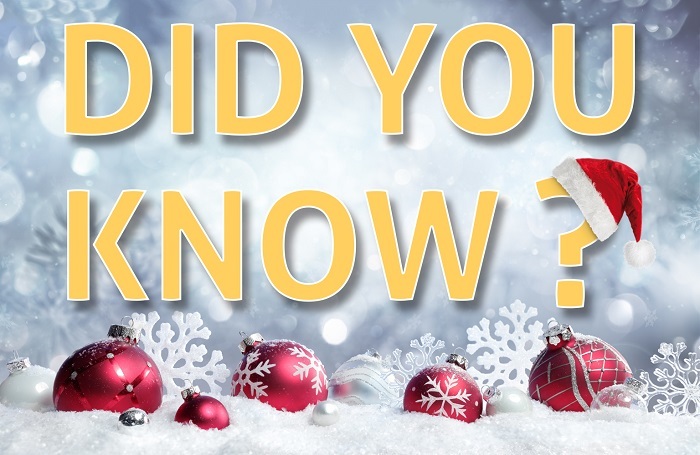 10 - Christmas was officially banned in 1647. Oliver Cromwell banned festivities after the end of the English Civil War and the law wasn’t lifted until 1660.